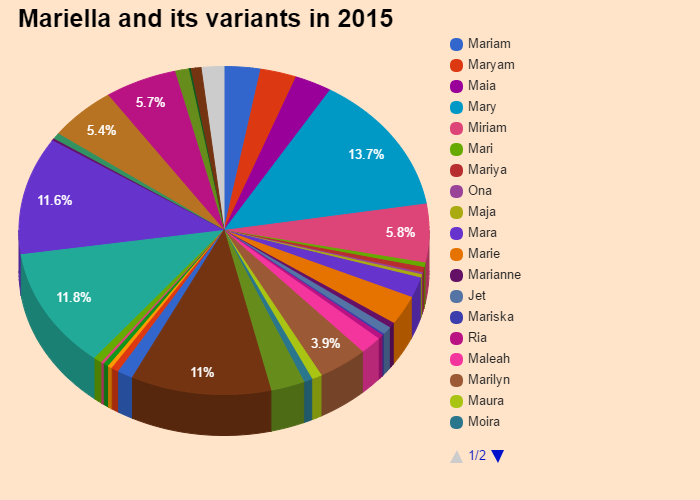 Mariella was ranked 809 in 2015 list of US girls name and dropped by 1.13% from its previous ranking of 800 in 2014. First name derived from Mary. Comes from the Hebrew "mar'yï¢m" Means: "drop sea" If Day on 15 August.. Them safe, strong personality and character not very easy,Mariellaimpose their authority to their natural surroundings. Discrete rather erased but effective, very active,Mariellaare especially generous, dedicated and always ready to help. Proud, touchy and demanding,Mariellado not allow themselves to do. Mariella give priority to family life and are possessive of love and protection. Mariella is a rare first name for a girl in England & Wales which is a rare name since 1996 and ranked 1155 in 2014. Only 523 people have Mariella as their first name. Mariella is a very consistent name over the past 18 years. Mariella is a rare first name for a girl in United States which is a rare name since 1914 and ranked 809 (0.004038% bearer) in 2015 in US. Only 3185 people have Mariella as their first name. Mariella is not a native United States and Mariella may be came from another language or is a short form of some other name. 0.000891% of people in US have this given name. Expression number of Mariella is 8. Mariella Devia is an Italian soprano, specialist in roles of the belcantista repertoire of which she is one of its current exponents. The classic girl name first appeared in 1914 when 6 babies had Mariella as their first name, the baby name went as low as 5 in 1931. 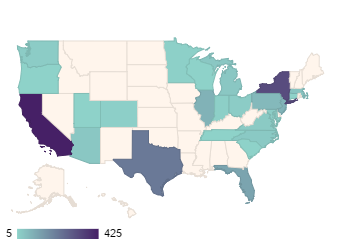 At peak, Mariella was given to 174 (0.009%) girls in 2016 specifically in California where 24 babies were named Mariella after continuous rising. After it's 103 years long runand 6 instances of disappearance, Mariella is currently rising in the chart. Get the meaning of Mariella and celebrities who also shares the same name and some names related to Mariella, english baby names list, list of names in english. Know what does Mariella mean? This website serves as the extended english names list which will help in naming your child.